Invest ESSEX, which was previously the in-house inward investment service for Essex County Council (ECC), has now become an independent investment promotion agency (IPA) and business support service. It will deliver an enhanced service through a recently announced £2.2million project. The project will be part funded by ECC and the European Regional Development Fund (ERDF) and will be managed by the Let’s Do Business Group which already delivers the inward investment service in East Sussex and the Business East Sussex Growth Hub. Invest ESSEX will be expanding its portfolio to include inward investment in the digital and creative sectors as well as providing support to small to medium sized enterprises (SMEs). The ERDF funding will enable support to provide 180 jobs within SMEs with additional funding from ECC supporting jobs across all businesses sizes. The investment in projects will see 5,000 new jobs to the county and help 50 new businesses relocate to Essex. Amazon – set to open one of the UK’s largest warehouses in Essex this year. The four storey warehouse will be one of Amazon’s biggest developments in the South East of England. Amazon will be a key tenant at the London Distribution Park development at the Port of Tilbury occupying a new four storey 550,000sq ft (51,100sq m) warehouse. Once completed, the warehouse will provide over 2 million sq ft (186,000sq m) of floorspace and is expected to create over 3,500 jobs once fully operational. 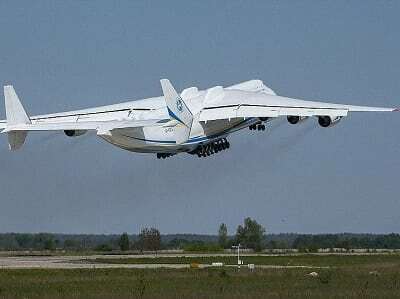 Antonov Airlines – the airline division of the large Ukrainian enterprise Antonov Company, which owns and operates the world’s largest aircraft the Antonov AN-225 “Mriya”, and a fleet of AN-124-100 freighters, has established a UK office at London Stansted Airport. This is part of a plan to increase flights of its supersized transporters to British airports and worldwide. 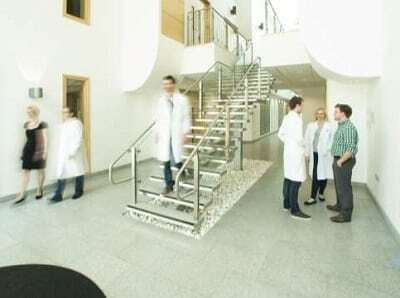 Arecor – leading biopharmaceutical company Arecor has chosen Chesterford Research Park as the location from which to expand and grow their portfolio of products to enable improved treatments for diabetes care. Enplas – one of the largest independent manufacturers of engineered plastics, has chosen to open its first research and development (R&D) facility outside of Japan in Essex. It is strategically located at the heart of the London Stansted Cambridge corridor which is proving to be a key location for life sciences companies. Evonetix – biopharmaceutical drug discovery and development company, Evonetix, is the latest company to move to Chesterford Research Park where they join major bioscience players such as AstraZeneca, Illumina Inc and Domainex who have all chosen Chesterford as the base from which to advance their research and development. Evonetix is the third life sciences company Invest ESSEX have assisted to take space at Chesterford Research Park. Metro Bank – an independent bank focused on providing the best in service and convenience to its customers opened its 47th store in the country in Colchester. This was the second Metro Bank store to open in Essex in a period of three weeks. Since opening their first store in central London six years ago, Metro Bank has expanded to having 47 stores across the UK mainly based in the South East. As part of the South East Invest project Invest Essex will continue to work in partnership with local enterprise partnerships, councils, universities and the private sector as it works to deliver a pipeline of inward investments. It will also offer affordable rental space for new businesses to help them establish themselves in the county through the Essex Technology and Innovation Centre (Ongar Business Centre) in Ongar. South East Invest delivers inward investment for Essex and East Sussex and is part funded by the 2014 to 2020 European Regional Development Fund Programme. For more information about Invest Essex please visit www.investessex.co.uk. For more information on the Ongar Business Centre visit www.essexenterprisecentres.co.uk.